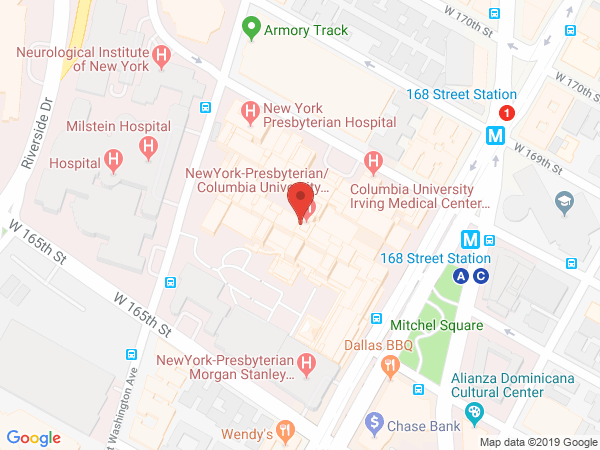 The mission of the Vagelos College of Physicians and Surgeons (VP&S) Office for Research is to facilitate the highest caliber of biomedical research, from basic to translational to clinical, among the VP&S faculty, students, and staff at Columbia University Irving Medical Center. The Office works across departments, centers, and institutes to foster interdisciplinary research collaborations, and supports efforts to secure funding for such collaborations. Communicating and coordinating with school deans, the Office of the Provost, and other offices of research administration throughout the University, the Office for Research works to ease hurdles and provide tools to facilitate research. To facilitate individual research endeavors by providing faculty, students and staff with: (1) aid in navigating and minimizing institutional obstacles to research; (2) tools and services for grants; (3) support for core and shared resources. To furnish school-wide research efforts through leadership support and strategic resources to maintain the highest standards in research excellence. To assist junior faculty in identifying and successfully competing for extramural funding. To foster inter-departmental research collaborations through proposal development and project management services. To create systems and resources that facilitate research activities and develop and enhance efficiencies in research management. To ensure faculty input regarding the school’s research direction, policy and compliance efforts. To recognize faculty accomplishments in research and scientific excellence. To promote an environment that incites innovation and is flexible to meet scientific demand. Through these services, the Office for Research aims to support the VP&S scientific community to achieve excellence in their scientific and academic endeavors. Investigators should use this service to find answers to their research needs. Email your research questions to the Office for Research and we will reply within one business day. There are many core and shared resources at VP&S. For lab facility directors, the Office for Research provides licenses for the iLAB Core Management System to monitor equipment scheduling and ensure timely billing of lab services. Please email the VP&S Office for Research for more information. Our proposal development team is composed of a highly-motivated group of individuals that can facilitate and manage large, complex grant submissions. Furthermore, they have curated materials for the Grant Toolbox and run a K Club to help junior faculty apply for NIH K awards. Please email the Office for Research for more information. Learn more about Proposal Development Services. The Basic Science Pre-Award Core assists faculty in the Departments of Biochemistry & Molecular Biophysics, Genetics & Development, Medical Humanities & Ethics, Microbiology & Immunology, Pharmacology, Physiology & Cellular Biophysics, Systems Biology, the Institute for Cancer Genetics, and the Institute for Genomic Medicine with proposal submissions. Learn more about the Basic Science Pre-Award Core. Michael Shelanski became the Senior Vice Dean for Research in October of 2015. He is also the Co-Director of the Taub Institute for Research on Alzheimer’s Disease and the Aging Brain. Before becoming the Senior Vice Dean for Research, he was the Chairman and Francis Delafield Professor of the Department of Pathology and Cell Biology as well as the Director of the Medical Scientist Training Program. He is a Member of the American Association of Neuropathologists, the Association of American Physicians and the Institute of Medicine of the National Academy of Sciences. Research in his laboratory has focused on elucidating the molecular causes of memory disruption and synaptic malfunction in Alzheimer’s Disease. His laboratory has identified and purified many of the major cytoskeletal proteins associated with aberrant neuronal structures as well as aims to establish methods to induce neurogenesis in neural stem cells for means of neuronal repair in Alzheimer’s Disease. His lab has served as a training ground for numerous exemplary scholars in the field of neurodegeneration. Jennifer Williamson joined Dr. Shelanski in the VP&S Office for Research in October 2015 as the Associate Vice Dean for Research. Jennifer and the VP&S Office for Research team support the clinical and basic science research faculty, working with the VP&S departments, centers and institutes to facilitate interdisciplinary research and new initiatives through research support services and core research facilities. Since 1998, she has worked with faculty and administrative leadership in both research and clinical operations at Columbia University. In Richard Mayeux’s lab, she served as the research coordinator and manager of the genetic research studies of Alzheimer’s disease and neurodegenerative disorders in the Taub Institute for Research on Alzheimer’s disease and the Gertrude H. Sergievsky Center. Prior to joining the Office for Research, she was the director of clinical operations in the Department of Neurology. Additionally, she was genetic counselor for 12 years in the Columbia University Huntington Disease Center of Excellence directed by Karen Marder. She holds a MS in Human Genetics and Genetic Counseling from Sarah Lawrence College, a MPH in Health Policy and Management from the Mailman School of Public Health at Columbia University and a BS in Molecular Genetics from the Ohio State University. Emer Smyth joined the the VP&S Office for Research and the Herbert Irving Comprehensive Cancer Center (HICCC) at Columbia University Irving Medical Center (CUIMC) in November 2016 as director of cancer research alliances and assistant dean for cancer research. Born and raised in Ireland, Dr. Smyth received her Bachelor’s Degree in Science and PhD in Pharmacology from the National University of Ireland’s University College Dublin. Before coming to HICCC, Dr. Smyth worked at the American Association for Cancer Research (AACR) as director of the Stand Up To Cancer (SU2C) translational research grant programs where she managed the administration and scientific review and oversight of US and international “Dream Team” multimillion dollar grants, as well as other funding models. She provided scientific administrative and communications support to SU2C and their funding partners, as well as SU2C scientists and Scientific Advisory Committees, across all phases of program launch, evaluation, selection, and post-award review. Prior to her time with the AACR, Dr. Smyth was a research associate professor at the University of Pennsylvania, where her group investigated a family of inflammatory lipid mediators in breast cancer and vascular disease. She has contributed close to 50 peer-reviewed research publications, scholarly reviews, and chapters over the course of her career thus far. At the HICCC, Dr. Smyth manages and directs the operations that establish, enable, and support the discovery efforts of the Celgene Cancer Drug Discovery Consortium. More broadly, she enhances the scope and impact of cancer research at Columbia by supporting development of large scale funding programs in cancer research and increasing awareness of CUIMC’s cancer research and care programs, within and beyond Columbia. Danielle Matsushima joined the VP&S Office for Research in August 2016 to provide research development support for VP&S investigators and to foster new initiatives that promote research excellence. She is passionate about science and Columbia’s scientific educational community having served as: Co-President of CUIMC’s Graduate Student Organization; a Board Member for the Columbia Women in Science Club; a lecturer for Columbia Splash; and a mentor for Columbia’s Science Matters Research Internship Program. For several years, she was a Writing and Critical Thinking Mentor for Minds Matter NYC, a non-profit organization helping high school students attain their college dreams. Her graduate thesis work focused on the molecular pathways that regulate hematopoietic stem cell quiescence and her undergraduate research elucidated the role of Sox2 in retinal progenitor cell differentiation. Dr. Matsushima holds a PhD in Genetics and Development from Columbia University and a BS in Biology from the University of North Carolina at Chapel Hill. John Seeley joined the VP&S Office for Research in December 2017. As a student at Columbia, he was involved in the Graduate Student Organization and served as a departmental representative for the Graduate Student Advisory Council. His graduate thesis work described a novel role for the miRNA, miR-222, in the regulation of innate immune memory. As a postdoctoral scientist, he further defined how miR-222 contributes to infection susceptibility and sepsis. Dr. Seeley holds a PhD in Microbiology, Immunology, and Infection from Columbia University and a BS in Biology from the College of William and Mary. Naomi Hornedo joined the VP&S Office for Research in 2012. In her role of Administrative Manager, she manages the internal research funding opportunities, honors and awards, and provides executive support to the Office for Research. Since 1996, She has provided service to Columbia’s faculty and administration in the basic and clinical sciences. The first 14 years were in the Department of Biochemistry’s central office as a Junior Accountant. In 2010, she worked in the Office of the Dean, Finance, and Administration as an Administrative Coordinator and assisted the Associate Vice Dean of Finance/CFO and his staff. She received her BS in Business Administration Management from William Paterson University.